You may get an cheap flight only quotation for your dates using this link: Cheap Flights to Ercan Northern Cyprus. 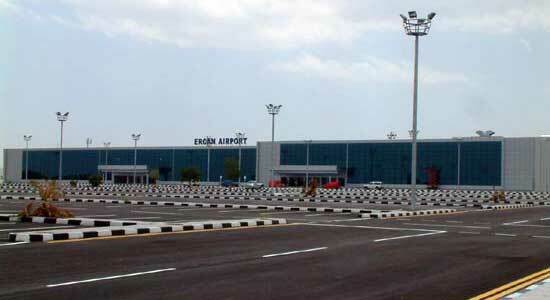 Ercan Airport is the only airport in Northern Cyprus. There are frequent scheduled and charter flights out of England and other European Countries to Ercan Airport. More than 100 flights per week arrive at Ercan airport during the summer. The airport code for Ercan Northern Cyprus is ECN. Interested in Ercan Airport car hire? The citizens of Turkey, United Kingdom, USA, Canada, Mexico, Malta, Japan, Switzerland, Norway, Israel, Pakistan, Azerbaijan, Australia and New Zealand do not require a visa to enter Northern Cyprus. All other nationals should check their status with regard to visas with the nearest Embassy or Office of Representative for the Turkish Republic of Northern Cyprus. Visitors who do not wish to have their passports stamped by the authorities on arrival in North Cyprus may request a stamped visa form which is loosely inserted into the passport and removed on departure. All material herein © 2008 goNorthCyprus.com Travel Ltd. All rights reserved.